 Copyright © 2018 Society for Nutrition Education and Behavior; published by Elsevier Inc. Used by permission. Analysis: Structural equation modeling examined the relation between variables for CCCs and for FCCHs. Results: For CCCs, NAEYC accreditation, providers’ perceived barriers regarding parents’ cultural beliefs about food, parents not liking the taste of healthy foods, and parents prioritizing other food-related topics over healthy eating significantly predicted parent engagement. For FCCHs, participation in Go Nutrition and Physical Self-Assessment in Child Care, perceiving parents to be busy, not wanting to offend parents, and practicing family-style dining were significantly related to parent engagement. For both CCCs and FCCHs, professional development regarding child nutrition was related to parent engagement. 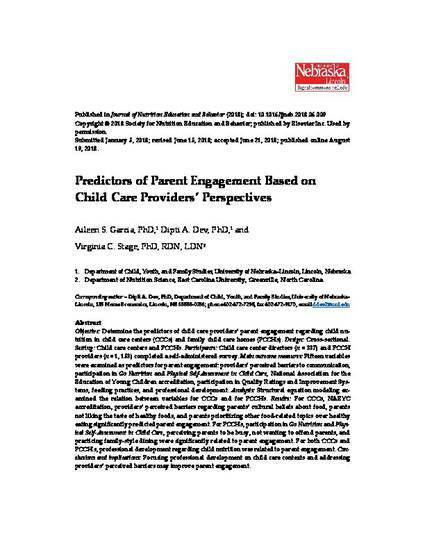 Conclusions and implications: Focusing professional development on child care contexts and addressing providers’ perceived barriers may improve parent engagement.